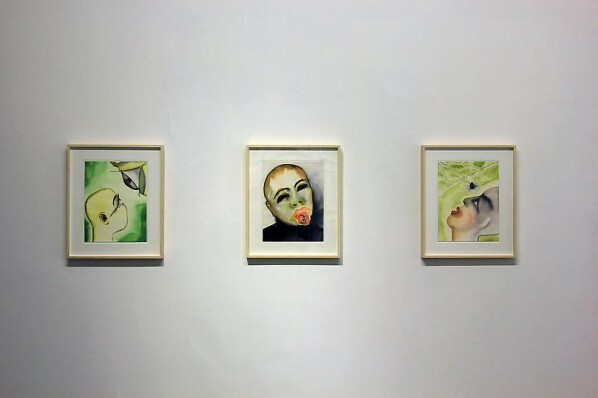 James Cohan Gallery Shanghai is pleased to present an exhibition by Francesco Clemente, The Chinese Shadows, opened on Friday, March 14th and continuing through Sunday, April 13th. This is the artist’s second solo exhibition at the gallery in Shanghai. 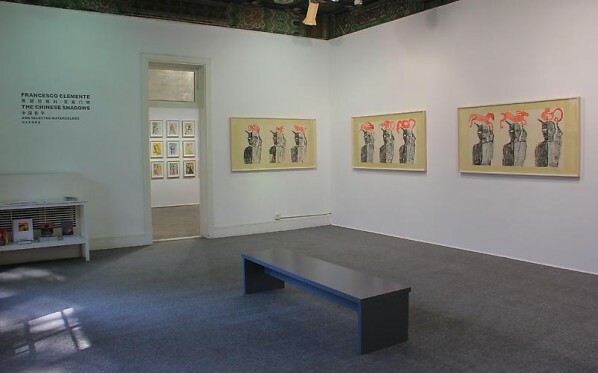 During the artist’s first visit to mainland China in 2012, Clemente created a dynamic series of thirteen unique hand-painted monotypes, utilizing watercolor, gouache, and ink on traditional Chinese paper mounted to silk. 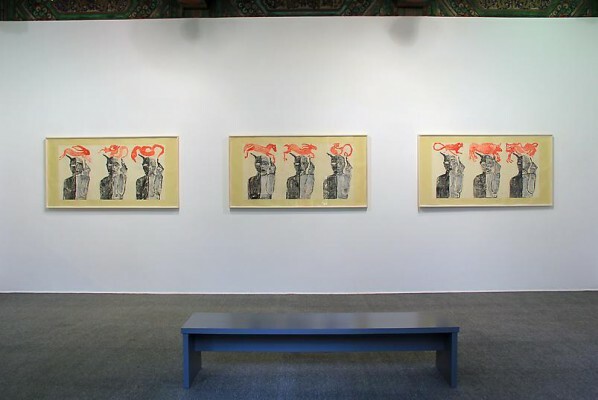 Clemente, who is equally acknowledged as a master of various printmaking practices over the course of his career, occasionally engages printmaking technics to explore or further extend the ideas of serial imagery. 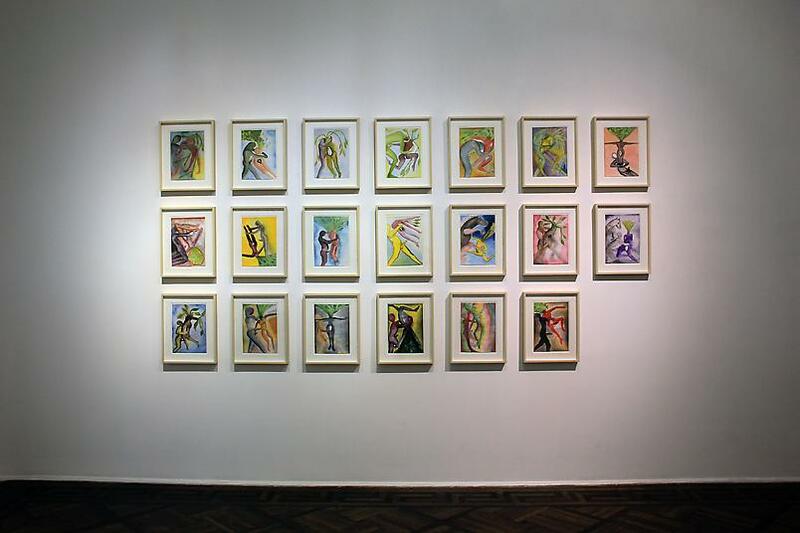 He is also widely acclaimed and recognized for revitalizing the art of portraiture and, in particular self-portraiture, which the artist began to develop more intensely by the mid 1970s. For Clemente, the self-portrait is a means towards deeper introspection of the psychic imagination, reaching far beyond a formal or technical likeness. The self-portraits, as well as in the many portraits of others he has painted over the years, are essential to the understanding of artist’s vision and personal cosmology. 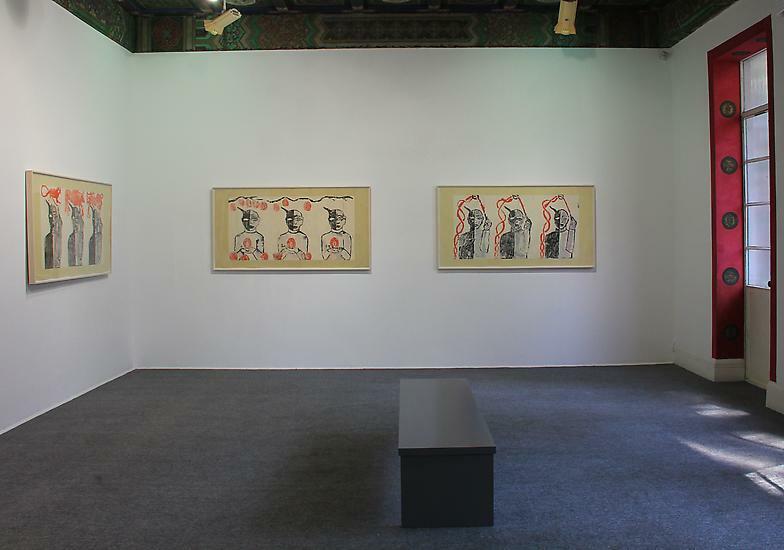 In The Chinese Shadows monotypes, Clemente has created a cohesive, sequential body of works that address the metaphysical or mythological self and the ancient Chinese philosophical principles of the universe yin (associated with the female, earth, dark, and cold) and yang (male, heaven, heat, and light) as a composite of the human spirit. Familiar motifs of Chinese life and culture are featured: flowing red ribbons, pomegranates suggesting small handheld lanterns, and four monotypes that feature the twelve heavenly creatures of the Chinese zodiac. The transformative juxtaposition between human and animal has been an ongoing theme the artist has continually explored throughout his career. Adhering to a defined palette of red, black and shades of gray, The Chinese Shadows exemplify the artist’s astute awareness and knowledge of China’s long traditions of both ink painting and supernatural storytelling. Gallery hours: Tuesday to Saturday, 10:00 a.m. to 6:00 p.m., Sunday 12:00 p.m. to 6:00 p.m., and Monday by appointment. Courtesy of the artist and James Cohan Gallery, for further information please visit www.jamescohan.com or contact Angela Li at ali@jamescohan.com or contact the gallery at +86 21 54660825.